One of North Side Chicago’s hottest housing 'hoods, Andersonville is located in the heart of Edgewater, between Lakewood Avenue and Ravenswood (westward), & Winnemac and Bryrn Mawr Avenues (south > north), and is adjacent to the tree-lined residential district of Lakewood-Balmoral. The neighborhood is known for its diverse architectural housing stock (Victorian mansions, brick two-flats, condo conversions, new construction, circa 1920s apartment buildings) and upscale but casual bars, art studios, and restaurants. Transportation nearby: trains (Red Line), buses (CTA) and a steady flow of taxi cabs, livery, and Uber options. 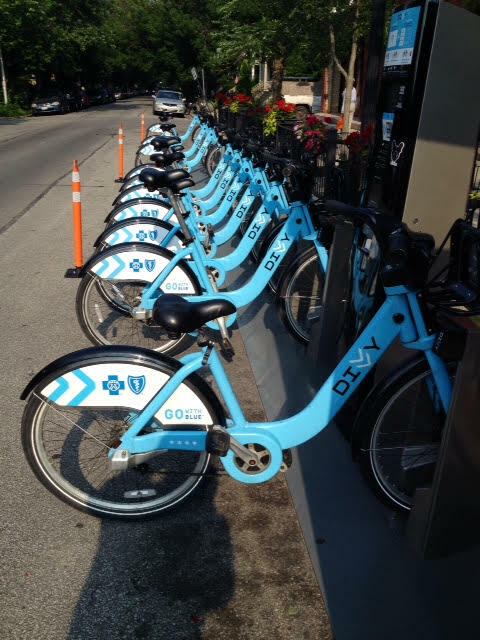 Also...Divvy blue bike rentals. It’s not just me. Chicago Magazine recently named Edgewater one of the city’s ‘Best’ neighborhoods in its March 2014 edition. And I concur. Originally built as an ‘in-town’ summer home destination for the moneyed-up traders and lace-curtain socialites of pre-twentieth century Chicago, this diverse community, with its lakefront location and eclectic housing stock, is one of the most interesting little spots in the entire Midwest. In fact, if available product has anything to do with it, the ‘hood is downright hot, to use the current real estate dialectal. Edgewater also boasts the furthest northern access to the city’s celebrated Lakefront Trail (140 blocks of bike and jogging–or in my case, slow walking–paths) that continues southward to the South Shores neighborhood at 79thStreet. Every eight blocks is a mile in Chicago so for those of you counting on your fingers and toes, that’s 17.5 miles–although there are approximately another 10 or so additional miles of twists, turns and winding bends through a dozen adjoining parks, museum complexes, and beaches. There is also the obligatory Starbuck’s, Einstein Bagels, and Potbelly contingent for the less ‘local’ minded epicureans (and suburb-fleeing new arrivals). Just west in (duh) West Andersonville is a small sub-community of quaint apartment buildings (mostly red brick and greystone multi-units), a handful of pre-1900 wood frame cottages, and the occasional yellow-brick octangle bungalow. This area was originally laid out (and eventually developed) by a variety of Swedish builders–as well as some of German and Welsh descent–between the years of 1850 and 1930. Market-wise, are currently two ‘two-flats’ and two ‘three-flats’ available between $480,000 and $950,000. There are also a half dozen single family listings priced between $420,000 and $1,500,000. These prices are approximately 4% higher than a year ago. Four blocks to the east, single family homes in the Lakewood Balmoral neighborhood have likewise appreciated in value over this same period. However, inventory is low and demand is high. There are currently only two properties on the market in this upscale enclave: a brick American four-square (with radiator heat and no central air) listed at $599,000; and a gut-rehabbed tri-level greystone listed at $1,099,000. In the past 12 months, nine homes have closed in this section between $635,000 and $1,430,000. When the local housing bubble began to deflate in late 2007, Andersonville home values (both east and west) held their own with relatively minor equity losses compared to other surrounding far north side Chicago neighborhoods. Likewise, the community was quick to bounce back when the housing sun finally burst through the residential recovery clouds a few years later. And now the forecast, once again, is…well…heating up! Two-bedroom/two-bath condominiums with parking begin in the high $290,000s in this area of Edgewater and can command as much as $600,000 for a 2000 square foot duplex penthouse with private rooftop access. A few blocks even further east lies the high rise canyon of Sheridan Road that runs parallel to the lake. A much denser area, currently there are 117 condo units being offered, ranging in price from $47,000 for a busted-up one-bedroom short sale (okay, maybe that one isn’t so hot) to a combined-unit four-bedroom/four-bath luxury penthouse with sweeping lake and city views for $729,900 (smoking!). While most of the ‘lakefront’ high rises’ in Chicago are topographically separated from the shoreline by Lake Shore Drive (LSD), many of the high rises this far north of downtown are situated right on the beach without the six-lane traffic buffer that ends just south (last exit) at Hollywood Avenue. The most notable and architecturally significant of these high rises is the former Edgewater Beach Hotel (now a ‘co-op’) often referred to as the ‘Pink Palace.’ A string of mostly commercial businesses–muffler shops, gas stations and fast food drive-throughs–run along Broadway and intersect a revitalized Bryn Mawr Avenue Historic District just a few blocks west. Notable spots in this immediate area include the Belle Shore Apartment Hotel, the Manor House (circa 1908 condominiums), the Redtwist Theater, and a sparkling glass mosaic mural community art project attached to an otherwise gritty concrete Bryn Mawr /LSD underpass. As in most neighborhoods of Chicago, public transportation access in Edgewater is a mere two block jaunt in any direction; be it the elevated Red Line train (‘L) or CTA bus, several of which have express routes directly to and from downtown Chicago. The streets are also awash with orange and black hybrid taxis and year-round avid bicyclists—both groups silently speeding along in their own mindset—so extra caution must always be taken before changing lanes, parallel parking, or even opening a car door. With a geographic square foot area of less than two square miles and population of approximately 56,000, things can get a little close (and heated), especially during rush hour. Major grocery shopping options in the area include Whole Foods, Mariano’s, Aldi’s, and longtime local stalwart, Jewel/Osco. 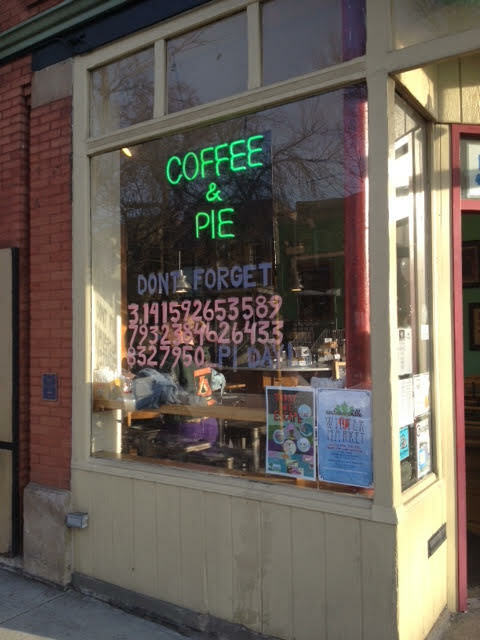 And, as is the case in most urban areas, a variety of mom-and-pop corner stores, specialty food shops, and sidewalk fruit vendors are abundant. There are also several community theaters, a nearby doggy beach, and plenty of wide open city park space. Finally, the rental markets in Edgewater and Andersonville are among the most attractive on Chicago’s North Side (at least on a dollar to square foot basis). And for this reason, inventory is always tight. There are currently only 58 available condo and townhomes being offered (keep in mind the population of the neighborhood is 56,000) ranging in monthly rent from $700 for a low floor studio in a mid-rise to $3,200 for a luxury two bedroom/two bath on the lake. On average though, one bedroom apartments run from $800 to $1,400 monthly and two bedrooms, from $1,500 to $2,000. And to be fair, these statistics only reflect properties listed on the MLS. There are many other privately-owned ‘non-condo’ apartment buildings in Edgewater but understand that these, too, hover around 95% occupancy year round. Also, it is important to note that Chicago has two distinct rental ‘seasons’: from October 1st through September 30th the following year; and May 1st through April 30th thefollowing year. Eighty percent of all leases in the city are written with these specific ‘start’ and ‘end’ dates. In short, no landlord wants to be stuck with a vacancy in the heat of summer or the dead of winter. On a positive note, the City of Chicago passed an ordinance last year greatly restricting the landlord handling of rental security deposits of tenants so the trend these past few seasons has been: ‘No Security Deposit’ but instead, ‘Non-Refundable Move-In/Move-Out Fee Required’ (usually $500 per person). And like most other neighborhoods in Chicago, your four-legged furry friends are generally not welcome. All things considered–whether a beachfront high rise penthouse or a painted lady Victorian mansion on a tree-lined cul-de-sac; a street corner mango slice (with a sprinkle of cayenne and a dash of lime juice!) 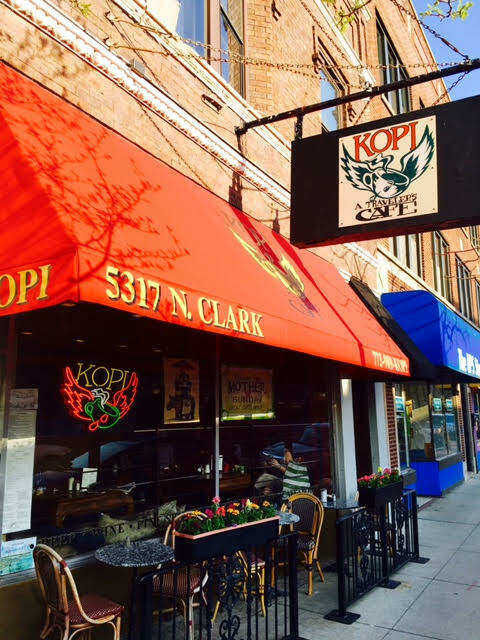 or a triple espresso chai latte and hunk of carrot cake from Kopi’s; or perhaps, just a lazy browsing afternoon at Women & Children First bookstore—Edgewater, 150 years removed from its ‘summer community’ inception, still has it going on. Some might even say, it’s hot. (And that, my real estate friends, would be me).